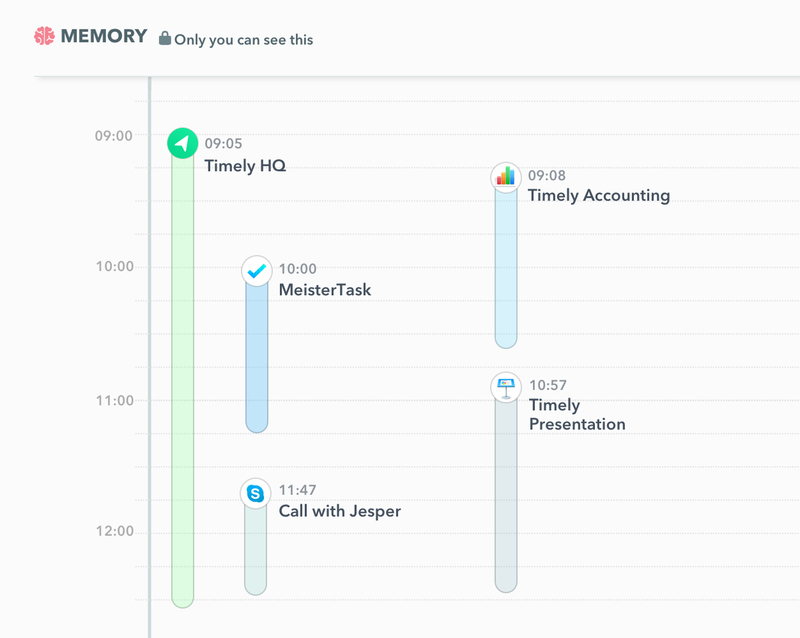 Get complete visibility over all the time your team spends managing tasks in MeisterTask with automatic time tracking. And it’s completely automatic. No need to waste productive time managing timers; Timely tracks all the time you spend in MeisterTask in the background while you work. 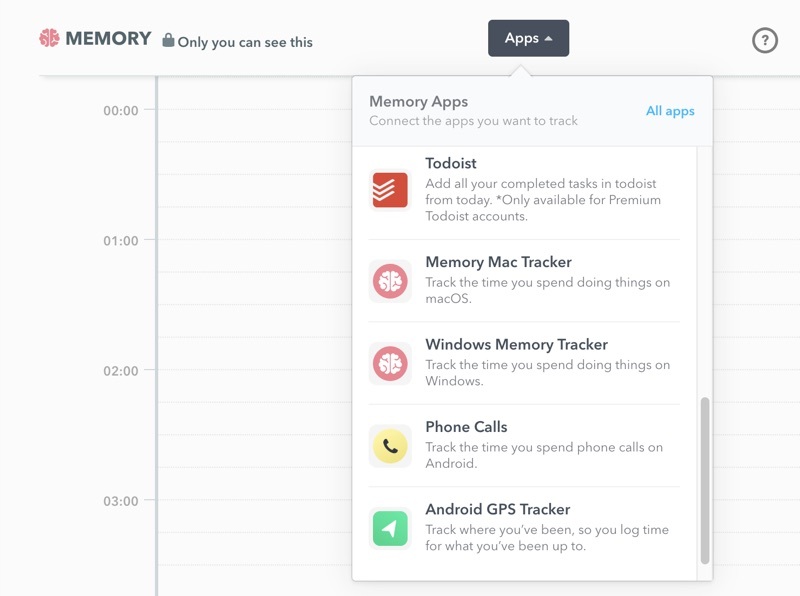 Just connect the Memory Tracker app from Timely’s Hours view to start tracking time in MeisterTask automatically. Make sure tracking is “on”, and you’re good to go! Just click on a tracked MeisterTask entry to add it to your timesheet – or use our ready-made dashboards to quickly report and analyze all your MeisterTask activity. Timely tracks much more than just MeisterTask. It automatically captures the time you spend in every web and desktop app you use for work – as well as billable time on mobile calls and travel. Get a completely accurate record of all your time – then bill accurately, report beautifully, and estimate projects with confidence all from one place.